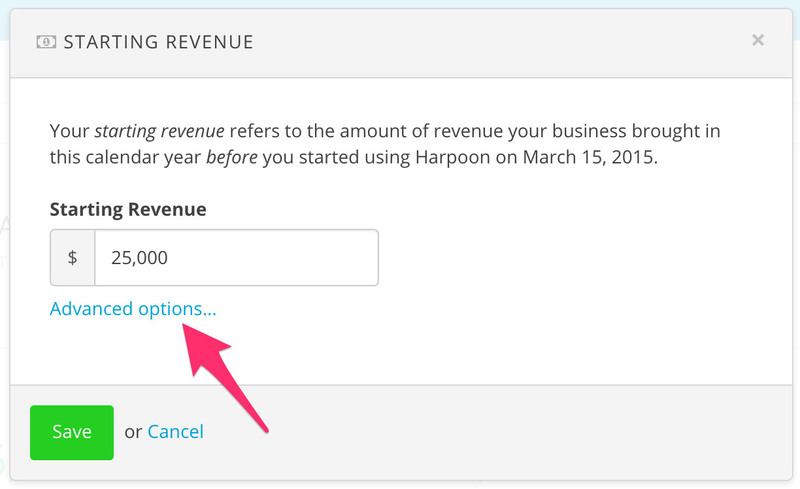 When you first sign up for Harpoon you’re asked how much revenue your business has already brought in for the current calendar year. We call this your starting revenue. 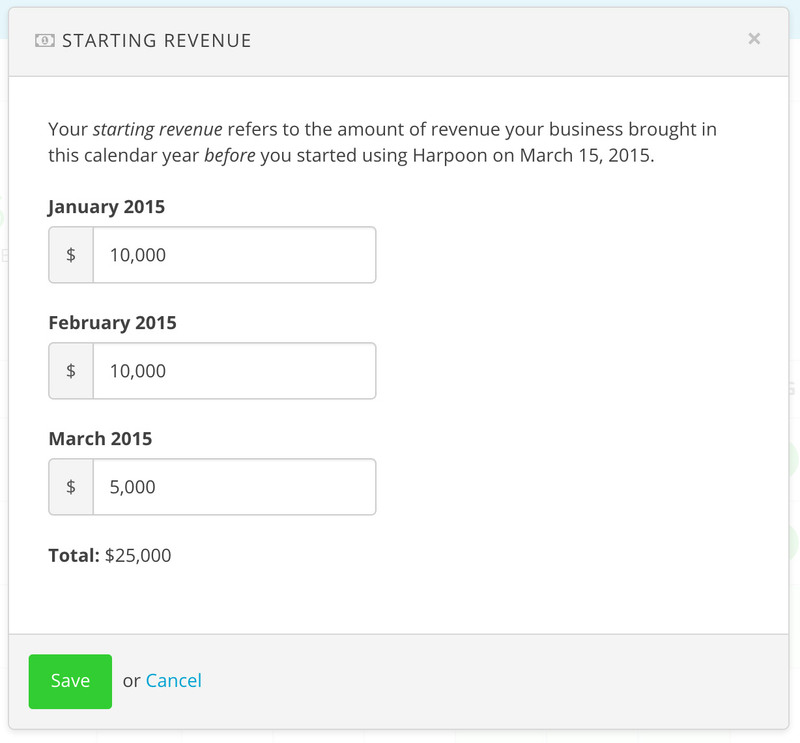 It’s Harpoon’s way of quickly getting up to speed with your business’s existing revenue for the year. After you start using Harpoon your subsequent revenue is tracked via the invoice payments you receive from your clients through Harpoon. Today we’ve added a bit more flexibility to how you enter your starting revenue. Instead of one lump sum you can now break up your starting revenue into individual months. 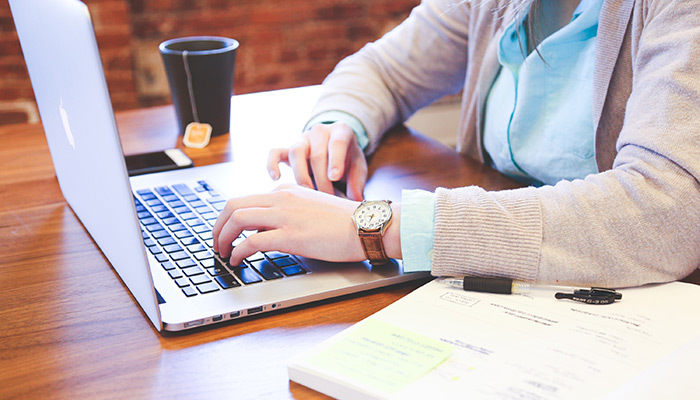 This results in more accurate metrics on your Schedule and Dashboard. To take advantage of this feature click on the “Starting Revenue” link in the top row of your Schedule. In the resulting overlay you’ll see a new “Advanced Options” link. Clicking this link reveals a group of form fields representing the months of the year before you started using Harpoon. You can now fill in the amount of revenue your business brought in for each month. You’ll see a running total towards the bottom of the overlay. After saving these changes you’ll notice your Schedule (and some of your Dashboard widgets) reflect more accurate monthly metrics. It’s a small change, but hopefully one that can make your first calendar year of using Harpoon that much more enjoyable.